We offer a wide variety of real estate services for banks, realtors, and property management. 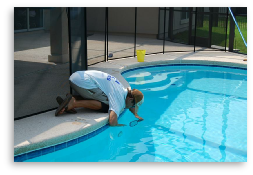 We do pool inspections, repairs, remodels, maintenance, and installations. We offer fast service and support to help you meet your deadlines and business needs. We look forward to doing business with you. Please contact us for further information.